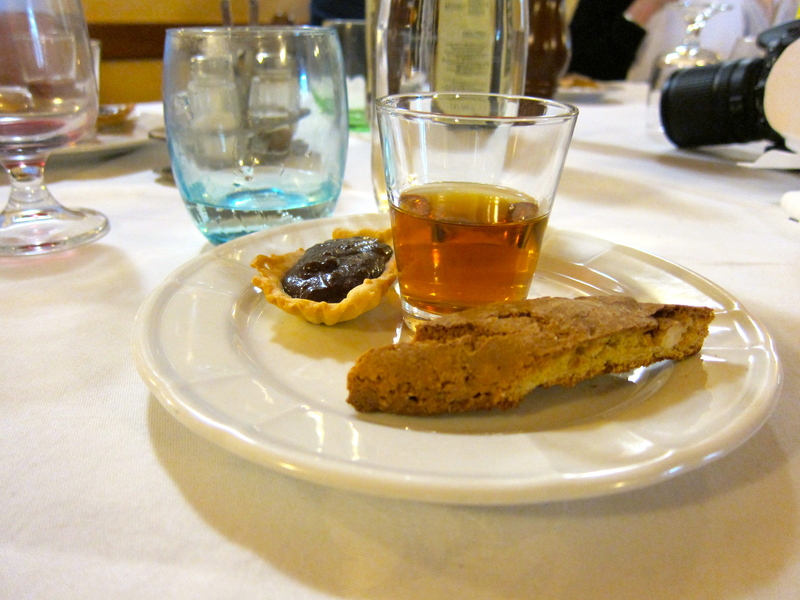 If you have been to Tuscany you have had cantucci! Also known as biscotti, a word that originates from the medieval Latin word biscoctus, meaning “twice-cooked/baked.” Often served with Vin Santo after a meal. Go ahead and dunk it, it’s delicious. That other confection looks like a little Tart. I’m curious about the Vin Santo since I never heard of it. Is it a sweet dessert wine?